Anti Fracking demonstration at County Courthouse in Boulder 11/13/12 & near fracking site in Boulder County Colorado 8/18/12. Includes images of protesters with signs including parents with small children. 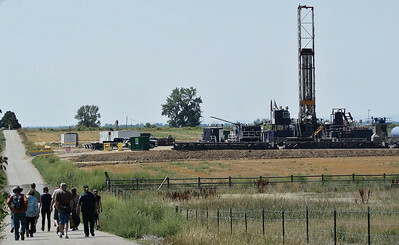 Also images a fracking site near Lafayette Colorado in Boulder County. 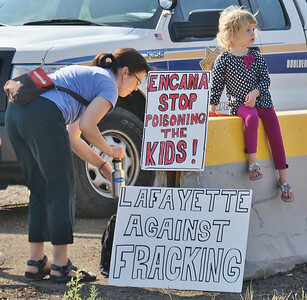 Mother and young daughter at fracking demonstration, protest signs next to them. 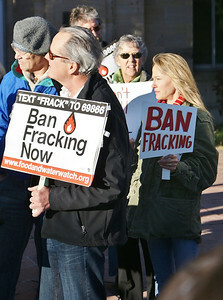 Anti fracking protesters with signs stand against fence at demonstration. 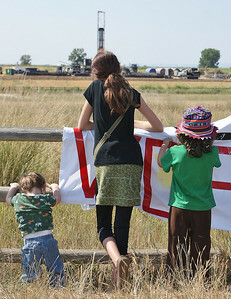 Young girl and two younger children standing against fence, looking at fracking site. 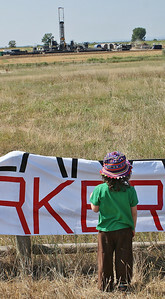 Young boy stands in front of fence, looking at fracking site, protest sign on fence. 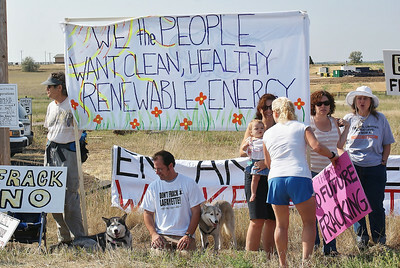 Group of fracking opponents with signs and large banner about renewable energy, standing against fence. 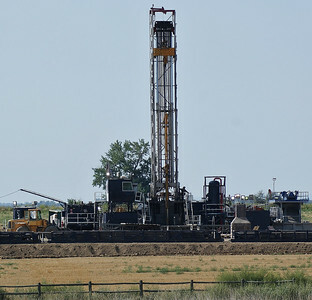 Fracking site near Lafayette, in Boulder County, Colorado. 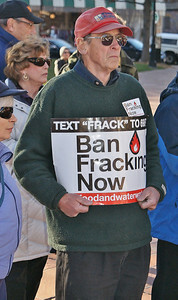 Man holding ban fracking sign at protest. 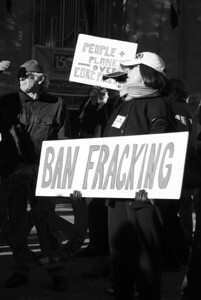 Woman holding ban fracking sign at protest. Black and white photograph. 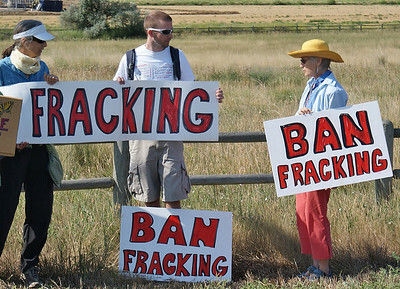 Group of protesters walking down road to fracking site. 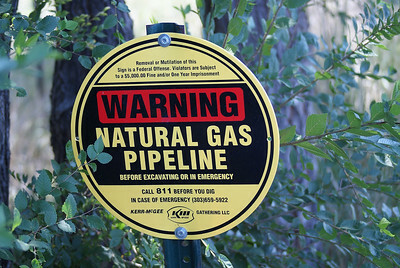 Natural gas pipeline warning sign near fracking site, near Lafayette, in Boulder County, Colorado. 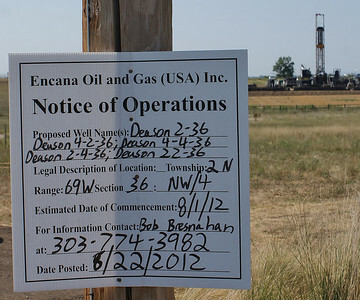 Notice of operations sign near fracking site near Lafayette, in Boulder County, Colorado.